Often, community power innovation arises from adversity. 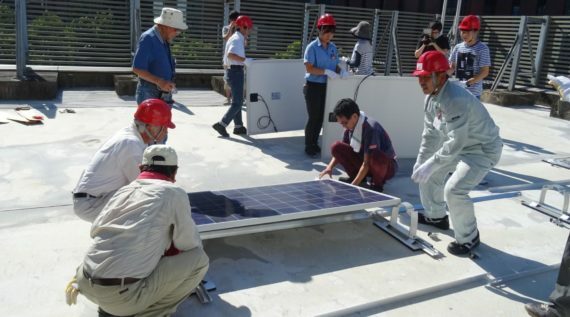 Integrating numerous ideas, crafts and networks, a community solar startup in Tokyo leads the megacities’ community roof-top solar with an innovative participatory installation model. In September 2016, a Tokyo-based community solar startup, Tama Empower, released a new participatory installation model for rooftop solar called ‘DiO (Do it Ourselves)’. This model provides customers not only with electricity from PV, but also a deep understanding and a tangible feeling of community ownership of PV.